PARIS: Scientists on Monday unveiled a previously unknown species of giant pterosaur, the first creatures with a backbone to fly under their own power. “They are delicately framed animals that are built for flying,” said Brooks Britt, a paleontologist at Brigham Young University in Utah and lead author of a study in Nature Ecology & Evolution. 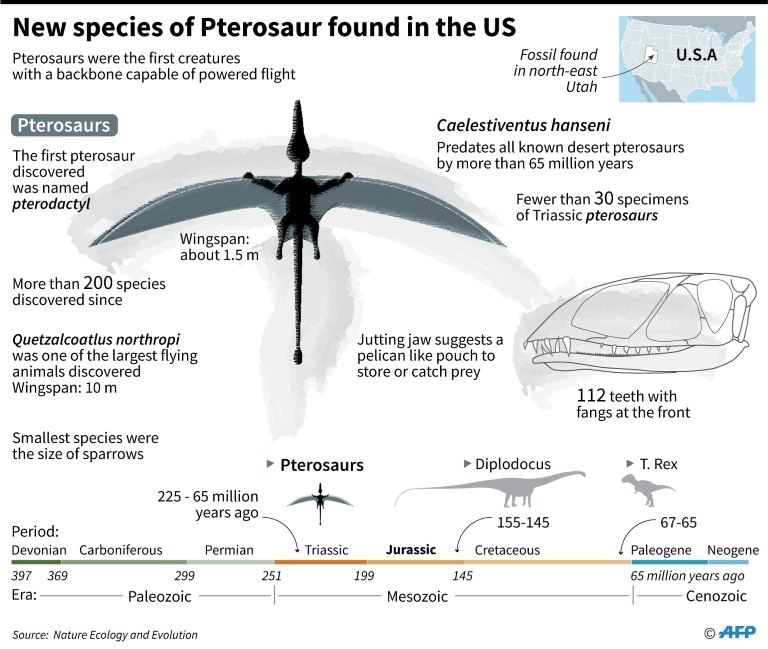 “Most pterosaurs bones look like road-kill,” Britt told AFP, noting that there are only 30-odd specimens worldwide from the Triassic period which lasted some 51 million years. The wings are in fact skin membranes largely held up by the fourth “finger”, or digit, of their forelimbs. Huge sockets suggest C. hanseni had “fantastic eyesight”, said Britt.